Microsoft just unveiled a brand new Surface laptop, but not the Surface Pro 4 some Windows fans might be waiting for. But don’t fret, because new reports indicate the Surface Pro 4 will be an upgrade worth waiting for when it’s released later this year. Even though some reports suggested the Windows tablet would be released in July, Inquisitor reports that there’s now reason to believe the Surface Pro 4 won’t be available to consumers until October, at which point it will launch with Windows 10 on board. The device is supposed to pack some serious high-end specs, according to Venture Capital Post, including two size options (12-inch and 14-inch) with 2K resolution displays, Intel Core i5 and Core i7 processor options, 16GB of RAM and a stylus. However, these specs are yet to be confirmed. Actual pricing details for Microsoft’s rumored laptops isn’t available at this time, but the Surface Pro 4 should be more expensive than the recently unveiled Surface 3. A few days ago, Microsoft quietly announced the Surface 3, a 10.1-inch Windows tablet that costs just $499 and will be upgradeable to Windows 10 later this year. 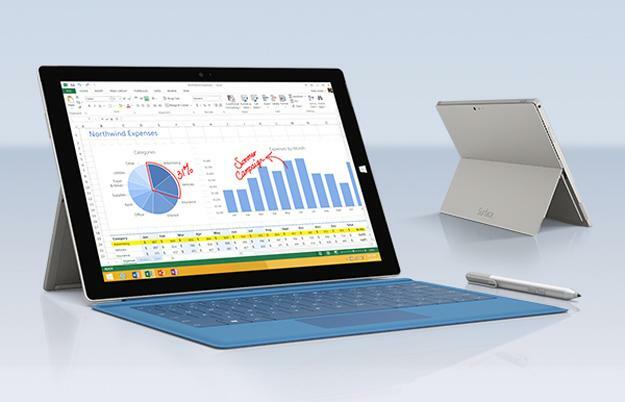 A fall release for the Surface Pro 4 would likely mean a launch in line with Apple’s new iPads. In fact, Apple is rumored to launch a larger iPad of its own, the 12-inch iPad Pro, which might compete directly against Microsoft’s Surface Pro line.